Part of the benefit of staying at a Disney resort is the fact that you are never too far from your resort. This is especially true of the resorts on Disney's Monorail System (Contemporary, Polynesian and Grand Floridian) but even non-monorail resorts are only a brief stint away on an air-conditioned Disney Transport Bus. 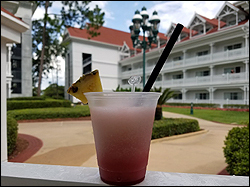 Staying "on property" allows for your vacation to have a more relaxed pace (if that is even possible at Disney World). The best way to accomplish this objective is to plan your day out well, but still be flexible. Build a mid-day break into that schedule. Exit the parks around 11:00 (just as the crowds really start building and the hottest part of the day starts) and head for your home resort for a leisurely lunch/snack, swim/lounge by the pool, bike ride, or restful nap. Taking a mid-day snooze will allow you to be refreshed when you head back to the parks after 4pm. This way, you will hit the Theme Parks at a time when others are starting to feel the effects of a day in the sun and lines. Eat an early dinner and prepare yourself for an evening of FUN! Another fun mid-day diversion is any one of Disney's Water Parks. While you won't most likely escape the crowds, you will be cool and there is plenty to keep you busy or plenty of space to do nothing at all. (see INTERCOT's water parks section for full descriptions). 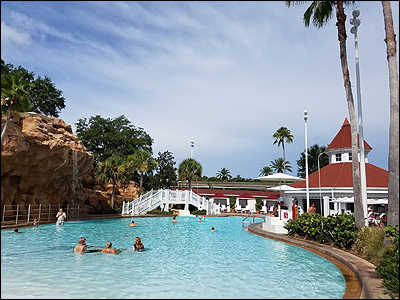 Lastly… if napping, water parks or swimming aren't your scene… consider exploring any of Disney's Resorts, leisurely browsing in Disney Springs, bike or boat rentals, or even horseback riding at Fort Wilderness.